The Functional Anatomy Exam is not currently included in the assessment plan for Medical Neuroscience. The assessment plan might include it again in the future. The Study Tips can be valuable to general insight in Medical Neuroscience whether there is a Functional Anatomy Exam or not. For that reason they are included in the website. Study Tip Functional Anatomy Exam 1. You are free to use the Summary of Pathways. You can use it and share it. You have to respect the attributions. Fig 1. Ventral surface of the brain in the corresponding tutorial. Besides this course material the site Genes to cognition is especially relevant for your study of the Surface Anatomy of the Brain. Most noteworthy is the 3D-Brain on this site. The 3D-Brain gives the anatomical place of a structure, its associated functions, associated cognitive disorders etc. The site Functional Cortical Anatomy (Lateral Surface) by Handwritten Tutorials is also very good additional material for this part of the Functional Anatomy Exam. The video provides clear visual insight. First of all you can study tutorial notes: Internal Anatomy of the Brainstem and Cranial Nerve Nuclei (Unit A) thoroughly because the figures are very useful. Damage in a certain place in the brainstem can lead to dissociated sensory loss of sensations to the face. 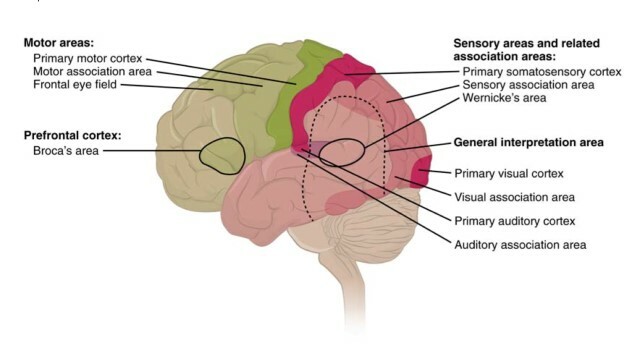 You must be able attribute this dissociated sensory loss to the structures in the medulla. The anatomy of the brainstem is important and because of that it is useful to re-watch tutorial 3-16 from 15.36 to the end of the tutorial. You can also use the cards provided by B.C. Jackson to revise the anatomy of the parts of the brainstem and spinal cord. These cards give you the opportunity to draw the relevant structures of the pathways and other brainstem structures. Finally: Slideshare Brainstem Lesions is an useful additional resource. The site Spinal Cord/Brainstem Interactive Atlas by Bellarmine University presents relevant additional information too. In addition to the Summary of Pathways you can use the table and produce your own versions of pathway images using these images, In that way you will make a summary of pathways that you can use in the parts on Motor and Sensory pathways. You can use tutorial notes; Internal Capsule and Deep Gray Matter; Basal ganglia; In tutorial 4-18 at 8.29 to 11.02 the basal ganglia in the brainstem model are pointed out. It is a good material to get a grip on the spatial orientation of the basal ganglia. Study Tip Functional Anatomy Exam 8. In the Tutorial Professor White’s Favorite Places in the Human Brain Professor White shows his favorite places in the brain. It is a tutorial rich in relevant information that could have been a bit overpowering at the start of the course. Therefore you will be surprised to find out that you really understand what is presented. Consequently it is really useful to re-watch at this stage in the course. Study Tip Functional Anatomy Exam 9. Left and right in axial images. While most of the images are quite symmetrical, as is the entire human body, it is obviously important to know where is left and right side of the actual patient. Especially so for Clinical Cases and the exams, where you’ll need to relate presented symptoms to anomalies on an image. For example: Brainstem and spinal cord slices as demonstrated in Sylvius and the tutorial notes are presented in axial view. The point of view is from below, it is like we are looking to the persons top of the head through his or her feet. It is the same as for Magnetic Resonance Images as for photographs and drawings.